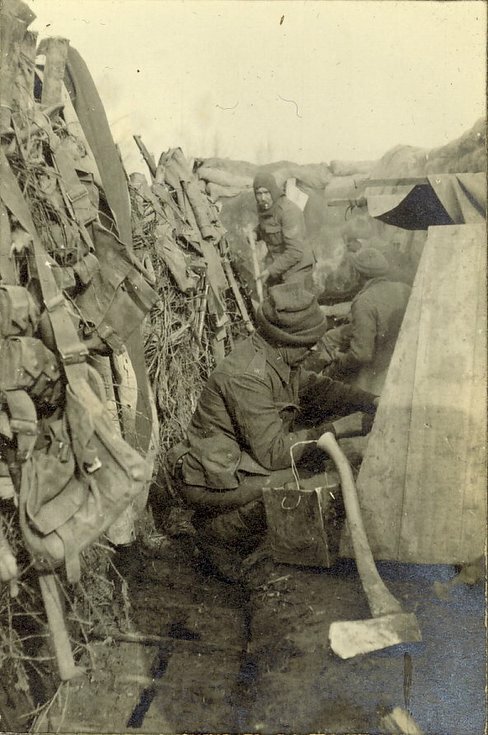 Monochrome photograph, © South Lanarkshire Council Museums Service, from an album compiled by Lieutenant Robert Cotton Money (see 2008.143), with the inscription: 'Behind ‘C’ Coy’s breastwork. Sgt. Hemmings in background 13/03/15'.